At Maccabee’s Cabinets & Design Studio, located in Destin, Florida, we pride ourselves on listening to our client’s dreams and wishes, we strive to make them become reality. We utilize superior workmanship and high-quality components to manufacture brilliant custom cabinets and products. From start to finish we keep the communication lines open to address any questions or concerns. We offer flexible options through our three lines. We design and sell Green Forest Cabinetry mostly for our builders who want a good product at a great price and a swift turn around time. We are a dealer for Tedd Wood Fine Cabinetry, an American cabinetmaker out of Pennsylvania. We have every option open to us including beaded inset, multiple door styles, paint or stain options, all centered on our standards of quality. 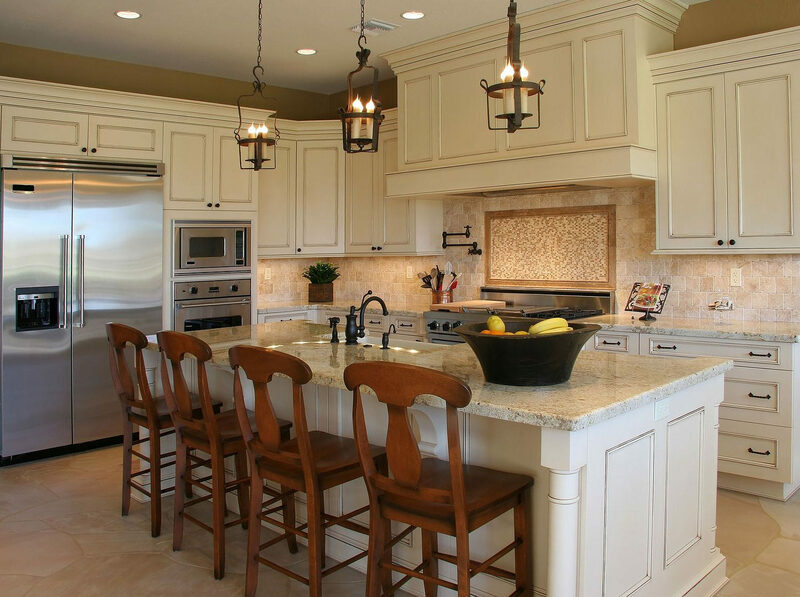 Our specialty is superior quality hand-crafted, custom design kitchens, furniture and built-in cabinetry. We offer a product that larger box stores can’t provide coupled with the attention to detail, individual needs and craftsmanship only a custom shop can offer. Our clients are our #1 priority. Specializing in custom framed cabinets that are designed to fit your space without an upcharge for non-standard sizes, this includes our designer working with you onsite to pick the right form, fit and function of each custom cabinet. With over 1500 colors to pick from including natural and stained hardwoods we’re confident that we can for fill your needs for your dream kitchen, bathroom, closet, or laundry room into a reality. We understand that sometimes the process can be overwhelming, but our designers can easy the decision-making process by offering insightful information on cabinet sizes, door style, finish, and hardware. The kitchen is one of the most used Cabinet spaces in a house. Kitchens require many different preparation areas, tools, and storage solutions to keep all your appliances, dishes, ingredients, utensils, dishware, and receptacles. 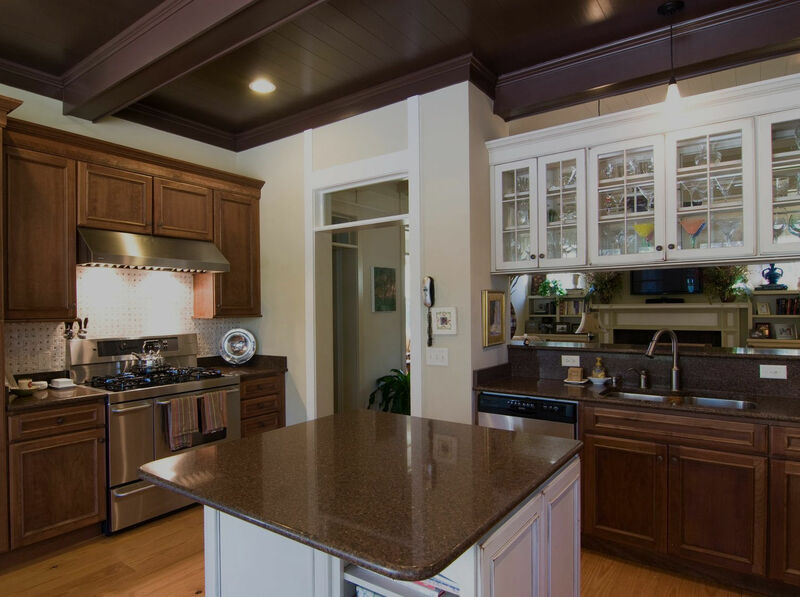 We understand that the kitchen can be a busy place, and we have developed custom solutions to help keep kitchens clean, organized, and presentable. We provide a wide variety of custom kitchen cabinetry storage solutions, both for cabinet organization and for hard to reach areas. Getting things out of the deep storage of your kitchen can be easy. 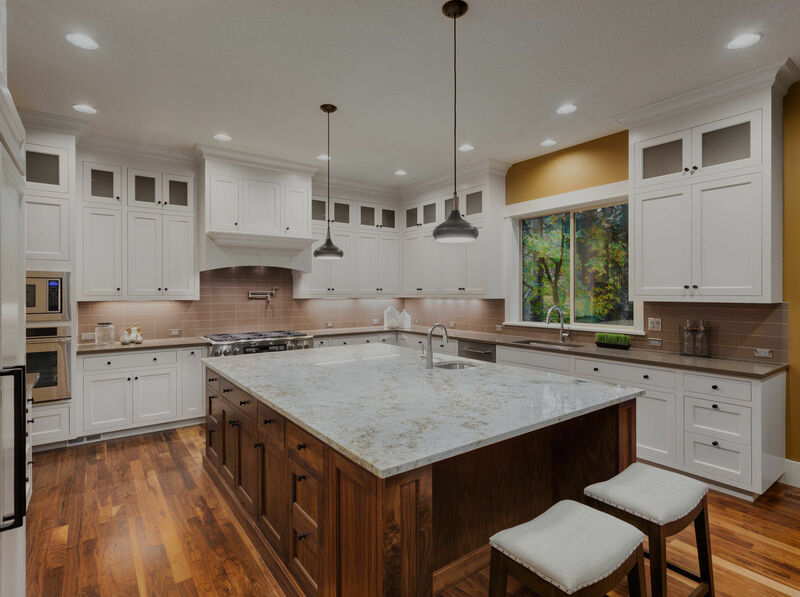 For years, our family-owned kitchen design center has assisted our clients in adding value, comfort, and style to their homes with custom kitchen cabinets and bathroom vanities. Located in Destin, Florida, serving Niceville, Fort Walton Beach, Shalimar, Valpairaso, Crestview, Destin, Miramar Beach, Santa Rosa Beach, 30A, Grayton Beach, Panama City Beach, Navarre, Gulf Breeze and Pensacola, we are able to assist with new house builds or the long-anticipated remodeling project. We offer a great product that is built with quality in mind. We’ll be there from the first consultation to the final installation of these products. You’ll always receive professional, courteous and timely assistance from our staff. Our cabinets are built in a climate controlled shop and are never stored in an open climate warehouse. 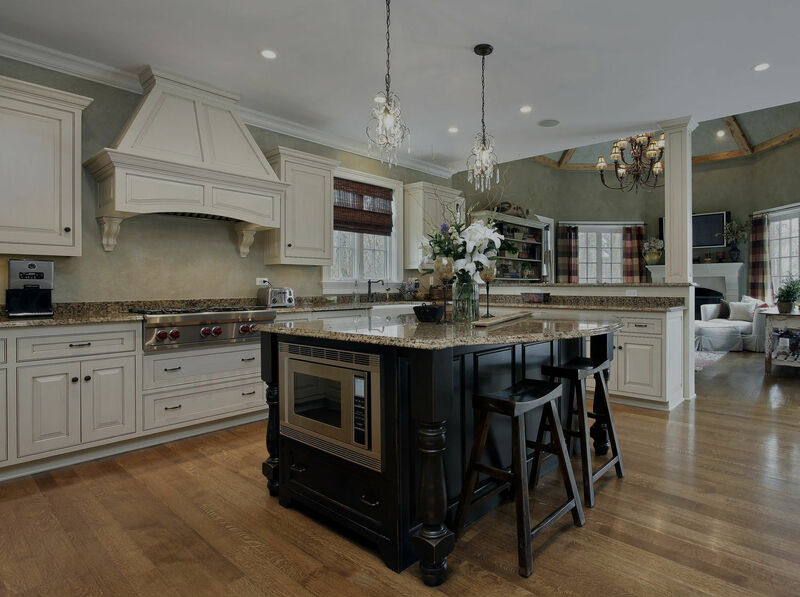 Maccabee’s Cabinet Company is a regional provider operating in both new residential and custom remodeling projects. We offer flexible options through our three lines. We design and sell mostly for our builders who want a good product at a great price and a very swift lead-time. We are also a dealer for Tedd Wood Fine Cabinetry, an American cabinet out of Pennsylvania. We have every option open to us including beaded inset, multiple door styles, paint or stain options, all centered on our standards of quality. 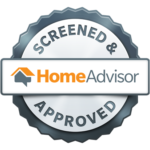 If it’s time to upgrade your kitchen, bathroom, closet, laundry room or your building that dream home give us a call today to schedule your free consultation. We serve the greater Okaloosa, Walton County areas to include Fort Walton Beach, Santa Rosa Beach, 30A, Destin, Niceville, and Crestview areas. Our team will design and build your custom kitchen or vanity to your specifications. This creates a continuity of artistry that produces a product combining beauty, function and quality. We understand the importance of good design, proper proportions, durability and meticulous attention to detail for your custom built cabinets. Creating a finished product that is what you will enjoy for years to come is of the utmost importance. Maccabee’s Cabinets & Design Studio combines traditional woodworking joinery with modern machinery to maximize the quality of our product. All projects are built on a custom basis using carefully selected materials. We are not limited by standard cabinet sizes or design. Our kitchens and furniture feature quality dovetail drawers and dado box construction along with high-quality hardware. The cabinet boxes are made from three-quarter inch domestic plywood. Whenever possible we use locally grown Western New York hardwoods. Together we can successfully create exactly what you want in a custom piece. Interested in a Custom Home or Commercial Project? "If you are custom cabinets versus pre fabbed cabinets, my recommendation is Maccabee, Period! What I’ve enjoyed most about working with these guys is the 'complete' service. I’m in a small community of only custom homes, and I have heard all the horror stories regarding custom cabinets. With the guys and gals at Maccabee, I simply can’t relate to the negative experiences of the other home owners in my area. They wanted to build the custom cabinets that what we wanted not what they wanted, and that’s what I liked!" "After we got our first set of plans, I understood it all. Their process saved a lot of time…and we hardly changed anything from that first design."